In 1905, Albert Einstein developed the theory of special relativity. 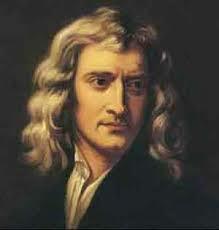 He also proved that atoms exist and figured out that light behaves as both a particle and a wave. To top it all off, he developed his famous equation E = mc², which describes the relationship between matter and energy, the same year. He was only 26 years old. Without a doub­t, Einstein was a genius. So was Isaac Newton — as any fan of “Star Trek: The Nex­t Generation” can tell you, he invented physics. He also played a big role in the development of calculus, which some people have trouble comprehending even after extensive classroom study. Another genius, Wolfgang Amadeus Mozart, started composing music when he was 5 years old. Mozart wrote hundreds of pieces before his death in 1760 at age 35. According to conventional wisdom, geniuses are different from everyone else. They can think faster and better than other people. In addition, many people think that all that extra brainpower leads to eccentric or quirky behavior. And although geniuses are fairly easy to spot, defining exactly what makes one person a genius is a little trickier. Figuring out how that person became a genius is harder still. The genius label is subjective. Some people insist that anyone with an intelligence quotient (IQ) higher than a certain value is a genius. Others feel that IQ tests measure only a limited part of a person’s total intelligence. Some believe high test scores have little to do with real genius. Genius is a big-picture concept. Most scientific and medical inquiries, on the other hand, examine details. A concept as subjective as genius isn’t easy to quantify, analyze or study. So, when exploring how geniuses work, it’s a good idea to start by defining precisely what a genius is. For the purpose of this article, a genius isn’t simply someone with an exceptionally high IQ. Instead, a genius is an extraordinarily intelligent person who breaks new ground with discoveries, inventions or works of art. Usually, a genius’s work changes the way people view the world or the field in which the work took place. In other words, a genius must be both intelligent and able to use that intelligence in a productive or impressive way. But what makes a person able to do all that? Is it a different, more agile brain? Is it exceptional intelligence? It is it an aptitude for noticing information that other people might consider irrelevant? We’ll begin looking for answers to these questions at the logical starting place for looking at genius — the human brain.